Please always call in advance for all visits. Operating hours may be extended or shortened based on attendance. 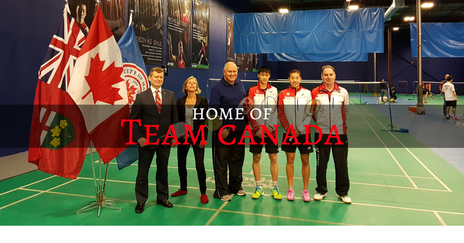 E Badminton Training Centre also operates in Montreal, Quebec. Our Markham-based elite coaches travel to Montreal on a rotational basis to provide Quebec athletes will the same quality of training as compared to our athletes in the Greater Toronto Area. For more information, please contact our Montreal office. 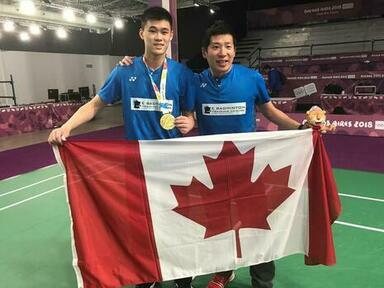 E Badminton coaches are amongst the most elite coaches and athletes in Canada. All of our elite coaches have 5+ years of badminton coaching experience at the international level. We select our coaches from around the world to provide our athletes with world-class service and a diverse range of coaching experiences. EBC's goal is to promote positive mental strength, physical endurance, and strategic thinking through the game of badminton. Our coaching roster is always fluctuating because we are constantly expanding our staff and assigning our coaches to participate in various coaching and competition opportunities across Canada. Please email us (info@ebadmintonclub.com) to discuss coach availability for lessons. 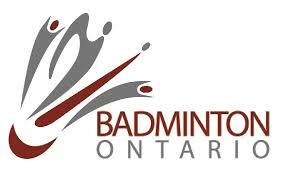 E Badminton Training Centre's initial venues were rented school gyms, but it eventually grew to occupy its current 9 court, state of the art badminton facility in Markham, Ontario. 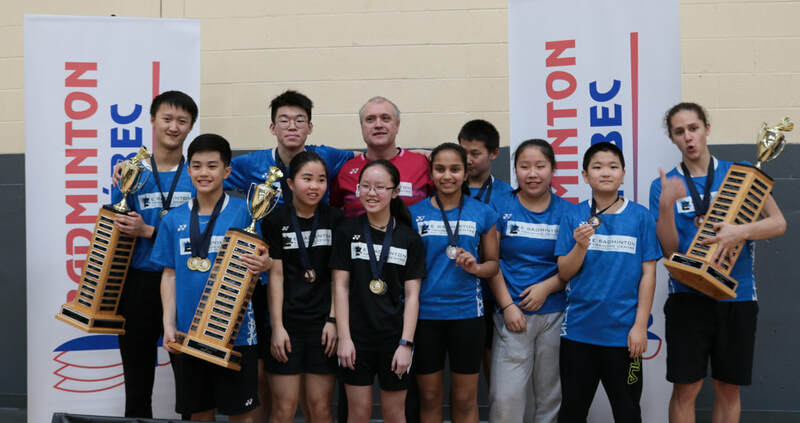 We approach badminton with the community in mind by fostering team work through hosting and participating in various events throughout the season, including several non-badminton related activities. Our multi-dimensional training strategy focuses not only on physical skill, but also on the importance of confidence, team work, focus, and work ethic. Our goal is to contribute to the healthy athletic and personal development of our athletes to ensure a healthy and happy lifestyle. E Badminton Training Centre has been supported by Yonex Badminton for almost a decade. Our club, all of our coaches, and many of our athletes are recognised by Yonex as some of North America's best. On August 6, 2018, Yonex's CEO, Mr. Yoneyama, personally visited E Badminton to speak with our coaches and spectate our training. In the Fall of 2018, E Badminton's Brian Yang won GOLD in the 2018 Youth Olympics. Shortly afterwards, E Badminton's Head Coach, Efendi Wijaya, was awarded the Badminton World Federation's Distinguished Speaker Award for his lectures during the 2018 World Junior Championships. His presentations were attended by National Team Coaches from around the world. 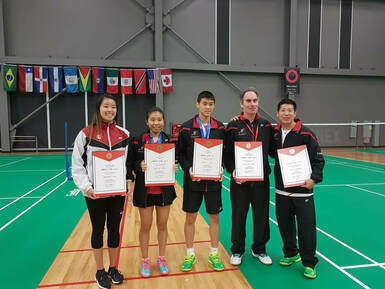 In 2017, E Badminton Training Centre reaped 7 out of 8 Badminton Canada award available, including the prestigious 2017 Coach of the Year Award. As one of a kind recognitions, Badminton Canada awards are considered the highest badminton honours in the country.